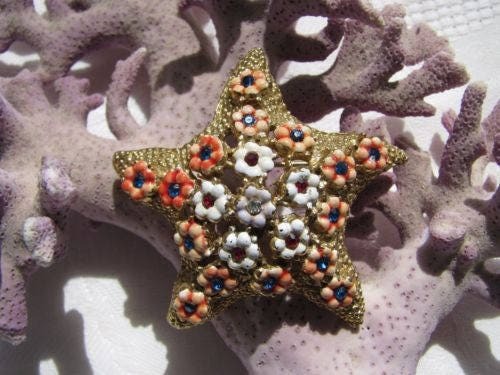 Famous costume jeweler Hattie Carnegie whimsical starfish brooch. 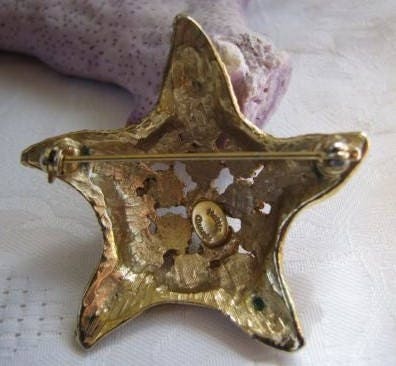 Very 3 dimensional look with a gold tone metal base that has a "sand" pebbly look. 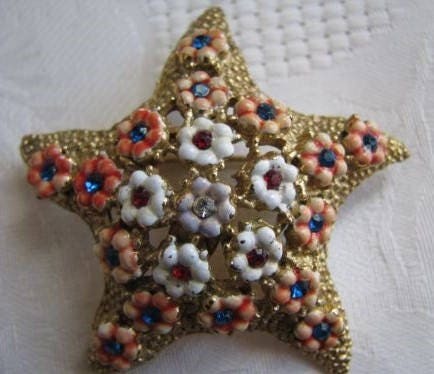 Star covered in enamel pink and white flowers. Red rhinestones within the white flowers and blue rhinestones within the pink flowers! Sweet! Two by 2 inches. Perfect size! Noticeable size but not too big. Very good condition with solid fold over pink and loop clasp. 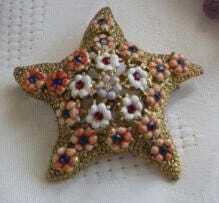 We were that one of the blue rhinestones was replaced but such a good match, we can't tell. Truly fabulous piece!